Clearly, it is safer to take every precaution to reduce the risk of illness and death. Whilst it is true that some people are more vulnerable than others, even healthy people can be infected and become seriously ill – and they can transmit the illness to others, even before they know that they are sick. 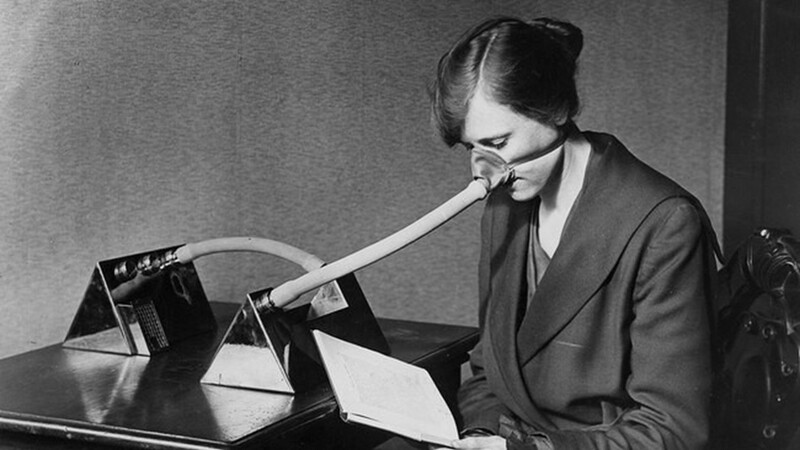 In the Great Influenza Pandemic of 1918-1919, in which 50 million people died, there were no treatments for influenza, so people took extreme measures to avoid getting the flu – like this office worker wearing a “flu nozzle”. One hundred years later, we know that the most effective way to prevent influenza is to have an annual influenza vaccination. If you do not get it for yourself – get it to protect those around you who are more vulnerable. To read more about Health Care at The Somerset, click here.